I’ve been absent for the last two weeks on GT, can’t remember any suspense book that I’ve read and all the books that I have acquired lately are academic related, it’s quiet a bore sharing just bare theories. Anyway, I’m in high spirits knowing I can write something on today’s GT. Hmmmm.. … Picks on grocery aisle you say K. -- I’m an active participant to the economic activity of this society, lol. Having five mouths grinding in this family, not to mention some vanities and some ‘let me try this’ impulses, bulk of our spendings go to groceries. For moms, basic necessities like sugar, canned goods, coffee, milk, formula milk, diapers (wishing I can graduate already from picking up this stuff from the shelf) soap, toothpaste, and shampoo down to chamyto are always part of the list. And I hate it when there are new consumer product releases because as I’ve said I have this ‘let me try this’ impulse and often I go over budget, lol. and another thing is that, I love freebies, sometimes it's not my brand but seeing a consumer product with a free item with it... then dunk it. hehehe. But on normal Sundays, I cart home roughly about five at the most six large grocery bags, this goes for the next seven days already, no buying in between unless very much necessary, and take note, I pay in cash, no credits cards, lol. five to six grocery bags... dami nun, sis! hi te vernz! salamat sa tip.. unsa nga fabric conditioner imo marecommend te?? thanks mwah! wala akong internet connection Vernz, dito ako sa internet cafe. tumawag na akits sa SMART, may technical trouble daw, 24 hrs pa mabalik ang among linya diri waaaaaaaaa. Oh! I also pay in cash. I despise credit cards.. no offense to those who use it. coffee is a must for me too! i dont use cc either, lagi disapprove application ko, haha. 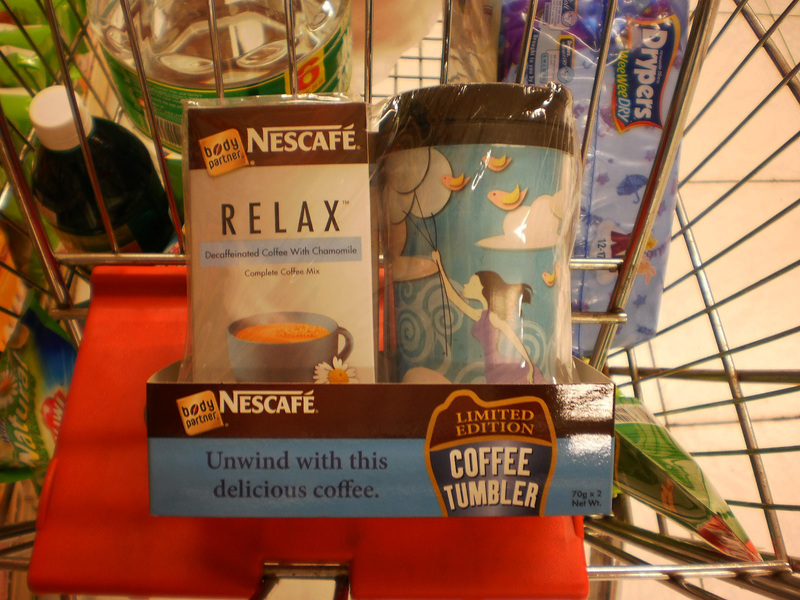 mahilig din ako magcollect ng tumblers o freebies sa mga grocery items, ang nestle kz masipag maglagay ng ganyang free items. 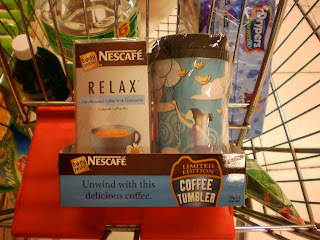 every week ang shopping....ehehhee...kami dire te kay once a month....lol! Aba at talaga lang ha. ngapala bakit di ko nalagay ang sugar? hehehe, 5 kilos na agad kasi ang binibili ko, gawa ng sweet iced tea na ni bu brew ko everyday. Dito naman kahit gano karamign bilin kong grocery, nakakasingit p arin ng bili in between, hay! our difference is, I don't try things on impulse, kasi dami ko ng na try, tapos di masarap, hehehe..oh well.. thanks for stopping by..
yeah! pay in cash.. use the card for emergency, and grocery is not emergency, it's basic..
i love freebies too. in fact, i insist buying milo 12 sachets with 1 free sachet included. lol. :) i pay in cash too. because i don't have a credit card. :) happy GT!